We are owned by our fans. Join them today. Cement a place in Motherwell history with this great gift. You can get a whole host of great discounts at local businesses, all year round, if you show your season card. © 2019 Motherwell Football Club | Responsive Website Design, Development & Hosting by mtc. Can you beat our Friday quiz? The 2018/19 campaign gets underway with a clash against Edinburgh City in the Betfred Cup on Tuesday. 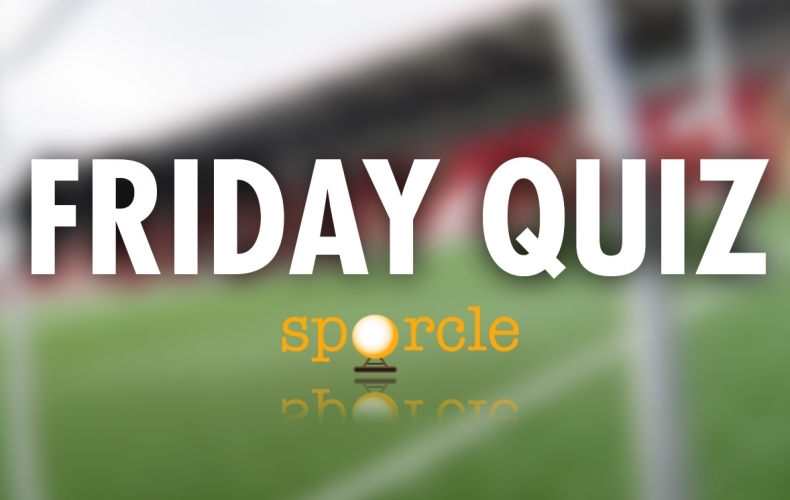 In our Friday quiz, can you name the opening fixtures in each of the last 20 seasons? 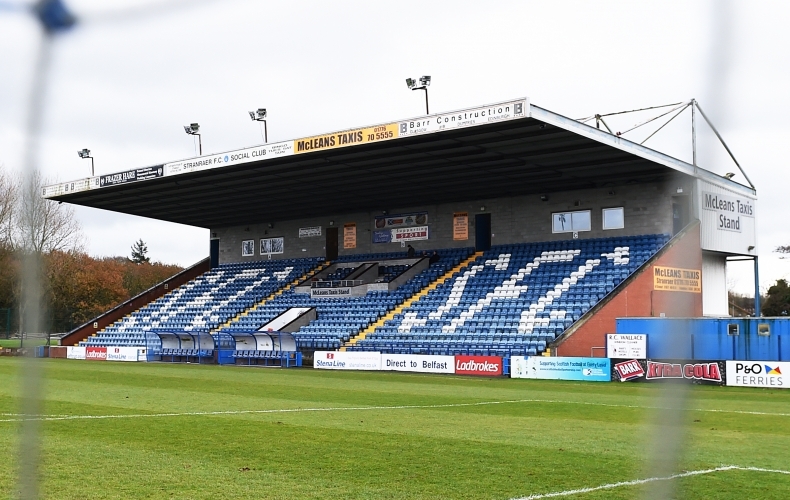 Motherwell’s first competitive away game of the 2018/19 season comes at Stranraer on Saturday, 21 July. 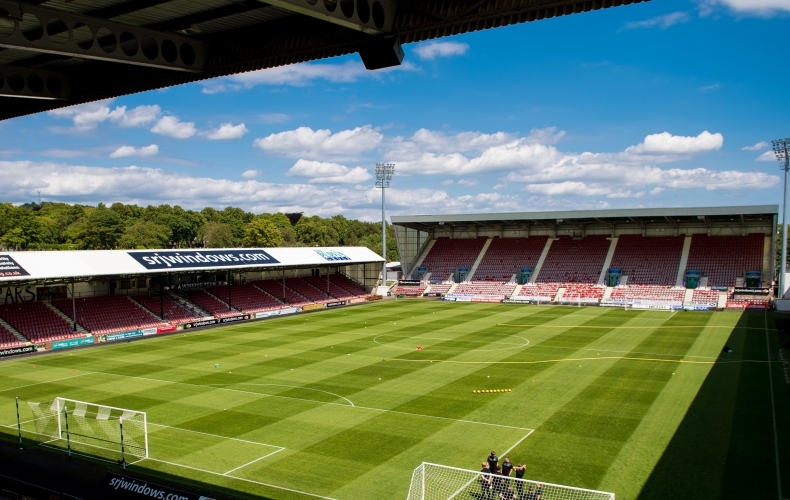 The second match of the group stages of the Betfred Cup will see Stephen Robinson’s side come up against the League One side for the first time in two years. Adult prices are set at £12, while concessions are £6. Motherwell supporters can pay at the gate. Kick off is at 3pm. Motherwell ended their pre-season programme with a 0-0 draw away to Dunfermline Athletic. The Steelmen used 21 players in their last non-competitive match at East End Park, creating numerous scoring opportunities. Richard Tait, Andy Rose and Aaron Taylor-Sinclair were happy to get more minutes under their belts as pre-season ended with a draw at Dunfermline Athletic. The trio all impressed in the last workout before competitive action starts at home to Edinburgh City in five days time. Manager Stephen Robinson was happy with the runout his players got in their 0-0 draw at Dunfermline Athletic. 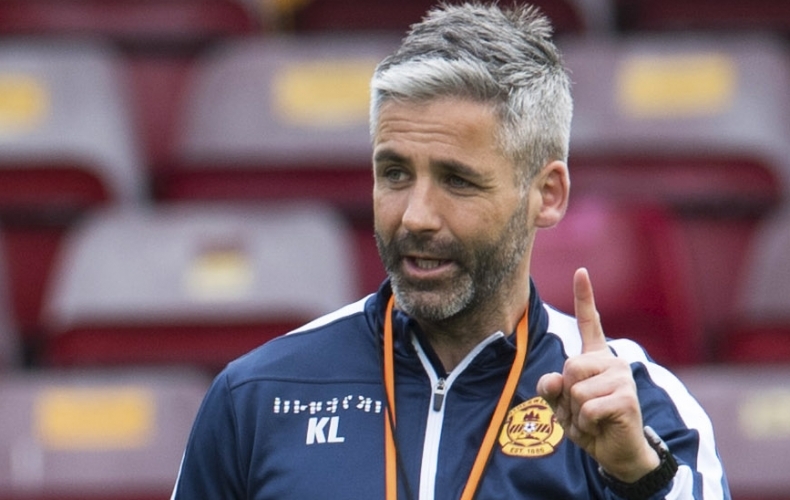 The Motherwell manager used 21 players in the final pre-season game at East End Park, with the first competitive game of the 2018/19 season five days away. 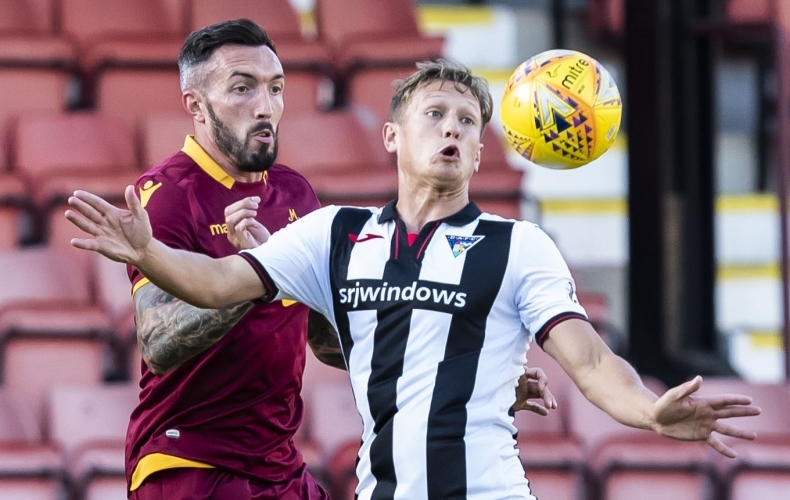 Motherwell ended their pre-season programme with a stalemate away to Ladbrokes Championship side Dunfermline Athletic. Stephen Robinson’s side gained another important 90 minutes, with 21 players getting playing time to further build their fitness levels ahead of the season opener against Edinburgh City in five days time. Motherwell controlled the first half, testing Lee Robinson in the Dunfermline goal on occasion. Andy Rose was first up to try his luck. In the first minute, his low drilled shot from 30 yards was well tipped away. Curtis Main then followed suit soon after. Getting the break of the ball in the box, his effort was turned away by Robinson’s feet. Plenty crossed were put into the box throughout the first half, but goal scoring opportunities were limited. Mark Gillespie in the away goal, for his part in the first 45 minutes, was untroubled. The Steelmen kept up their pressure as the second half started. Carl McHugh had a chance from close range from an Elliott Frear corner, but his header dropped wide. The Pars immediately responded with their first shot of the game. Alex Rodríguez was caught in possession in midfield and allowed the hosts to break, with Joe Thomson’s effort being deflected behind for a corner which came to nothing. Motherwell continued to probe. Main was next up with a low drive which had Robinson scampering as it flew past the post, while the big forward turned creator when his near-post cross came within inches of finding the boot of Danny Johnson. Johnson, who scored with an acrobatic volley away at Darlington on Sunday, would then try his luck again with a similar effort with 20 minutes remaining. Aaron Taylor-Sinclair was again the provider, as he had been in England, but the striker couldn’t get the ball out of the air and his shot went over. Having been largely quiet, Gillespie was needed shortly after. Dunfermline’s trialist forward found himself with room 15 yards out for a free shot, but the big goalkeeper spread himself brilliantly to block. Motherwell: Gillespie; Tait (Grimshaw 75), Donnelly (Maguire 45), McHugh (Bigirimana 75), Dunne (Kipré 64), Frear (Taylor-Sinclair 64); Campbell (Hartley 64), Cadden (Rodríguez 45), Rose (Turnbull 64); Bowman (Johnson 45), Main (Scott 81). Assistant manager Keith Lasley is the special guest as the Well Society get set to host their second business breakfast at Fir Park. Following the success of the first event in April, a second morning meet has been arranged for businesses and is set to take place on 19 July. Fir Park favourite Lasley will be guest speaker in the Millennium Suite, sharing stories from his career in claret and amber. The events runs from 7.45am until 9am and costs just £10 per person. Your ticket price includes a breakfast roll, tea, coffee and orange juice. Get in touch with the Well Society via our contact form to book your place. Motherwell conclude their pre-season preparations with a trip to East End Park to take on Dunfermline on Thursday. The Steelmen, who have picked up friendly victories over Crusaders and Darlington, will be looking to end their pre-season run on a high, five days before the Betfred Cup group stages get underway. Edinburgh City await Stephen Robinson’s side on Tuesday night, and for Championship side Dunfermline, they host Peterhead in their opening fixture of the tournament ‘Well finished runners-up in last November. Thursday night’s clash is the first time the Steelmen have faced the Pars since 2012, when goals from Michael Higdon and Henrik Ojamaa sealed a 2-0 win for ‘Well. The hosts, who have bolstered their squad with nine summer signings, are set for their third consecutive campaign in the Championship after being promoted from League One in season 2015/16. Tickets cost just £10 for adults and £5 for concessions, with the game kicking off at 7.30pm. 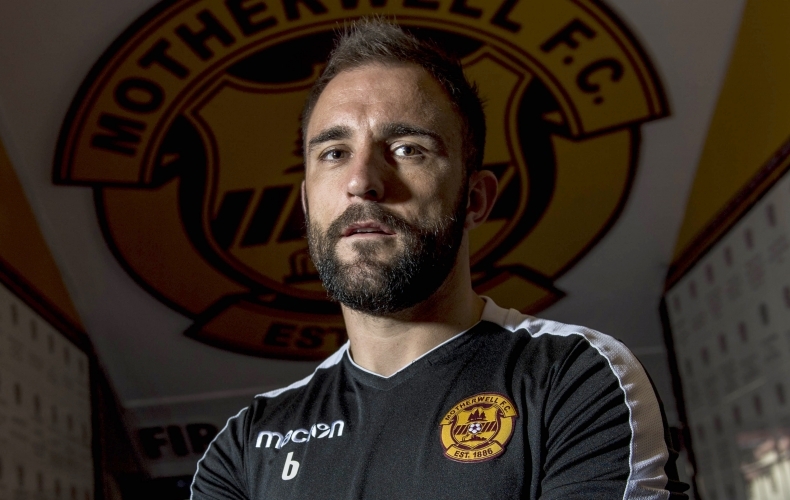 Peter Hartley will be the new captain of Motherwell Football Club, following Carl McHugh’s decision to step down from the role. The 30-year-old defender, an influential figure at the club, will take up the armband with immediate effect. Hartley will be supported by other senior players, including McHugh. “Peter was an obvious choice for me,” manager Stephen Robinson said of the decision. “It’s in his character, he’s a natural born leader, he’s loud and has total respect from the boys. Carl had that in a different way as he was quieter in how he conducted himself. “Peter has that respect and I think he’ll be fantastic for the football club. “What we’ve got this year though is a group of older boys, if we have older boys, who I can speak to and ask their opinion. I can get a feel of what is needed and what’s not in the dressing room. McHugh has also backed the decision. “We’re a close knit squad and Pete has always been supportive of me as captain and I’ll do the same for him,” he said. Stephen Robinson has expressed his utmost respect for Carl McHugh, after the midfielder decided to pass on the captain’s armband. The Irishman, who is preparing for his third season at Fir Park, spent the 2017/18 campaign as skipper and was the first in his position to lead out the club at two cup finals. Carl’s move to step away from the role has been supported fully by his manager, who believes the 25-year-old will continue to represent the club in the same manner he always has. “Carl and I have spoke at length about it. I spoke to him at the tail end of last season when he came to me about this. Robinson added: “There was a lot of extra responsibility put on Carl last season, particularly with the cup finals, and he just feels he could give more to the team without the armband. “For me, it’s a very selfless act and it’s clear he’s thought all of this through. He felt that someone else taking the armband would allow him to concentrate on his game and improve another 5%. © Motherwell Football Club 2019. All rights reserved. Website Design, Development & Hosting by mtc.